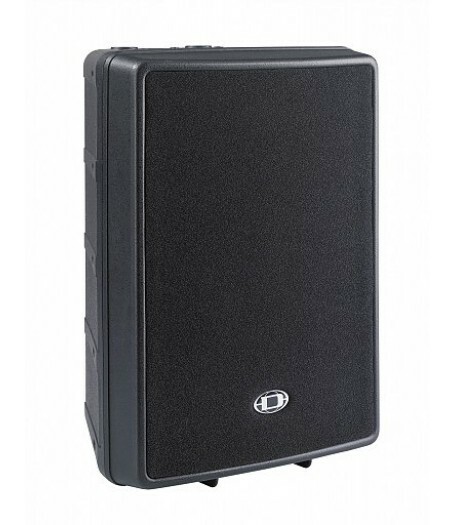 With the newly designed D12, DYNACORD fulfills a longtime customer demand for a light-weight, extremely robust high performance professional 12" 2-way plastic cabinet for use in professional, portable and fixed install sound reinforcement applications. With a variety of suspension accessories and conservative cosmetics, the D12 is ideally suited to be used in demanding fixed installations. The cabinet is manufactured from polypropylene and therefore is extremely resistant against abuse on the road. For low frequencies an Electro-Voice DL12BFH is used. The recently developed Electro-Voice ND2 Neodymium driver is used for the projection of mid and high frequencies. The Constant- Direcctivity HF horn has been integrated into the baffl e by CAD methods.Nominal coverage angle of the cabinet is 80° x 40°, horizontal x vertical respectively. Power handling of the cabinet is 300W (continuous) and 1200W peak. 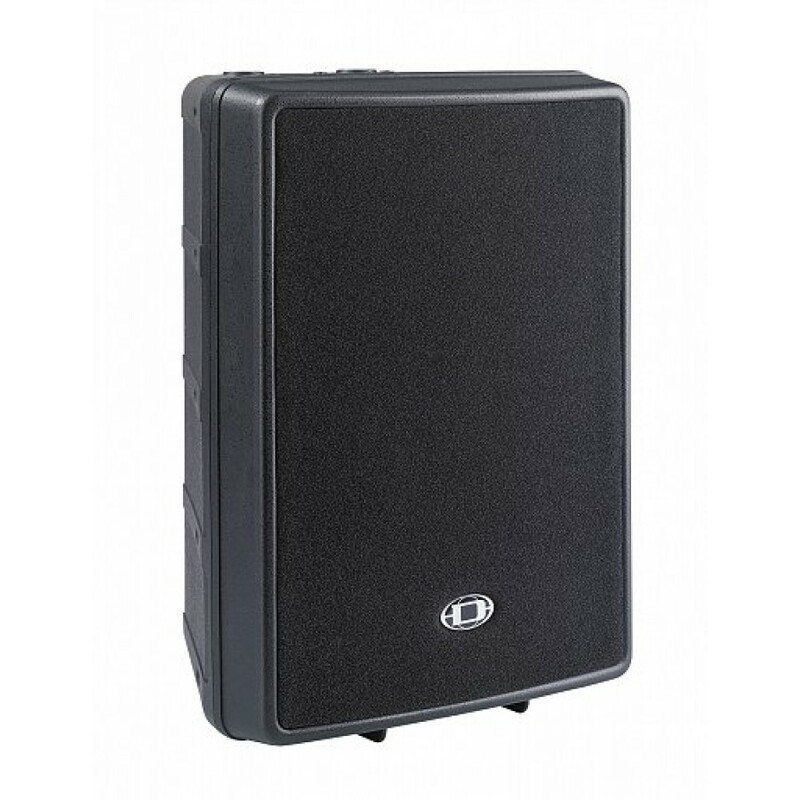 Maximum sound pressure level is 129dB, the frequency range of the D12 is 70Hz to 18kHz. The D12 is ideally suited for applications as full-range cabinet or as Mid-Hi cabinet in in highperformance small-format active and passive satellite systems.